Kompresor AC Refrigerant R410aDeskripsiRefrigerant merupakan gas alamR-410A is currently the leading non-ozone depleting replacement for HCFC-22 in unitized air conditioning systems for residential and light commercial units. These units are refrigerant-in-tube design, meaning these units contain no vessels such as liquid receivers, condenser barrels or chiller barrels. These components typically have test pressure ratings of 350 to 400 PSI.R-410A has a significantly higher vapor pressure than R-22. The condensing pressure of R-410A at standard conditions is 336 PSI. This is slightly higher than our current high-pressure safety shut-off setting. An equivalent high pressure cut off for R-410A would be 553 PSI. This pressure far exceeds the pressure ratings of the components previously referenced.Contractors and technicians need to know that R-410A can only be used in equipment designed for R-410A. It cannot be used to retrofit existing R-22 equipment due to significantly high operating pressures. Furthermore, special service equipment is required, such as a high pressure manifold gauge set, a high-pressure recovery unit, and high pressure recovery tanks. 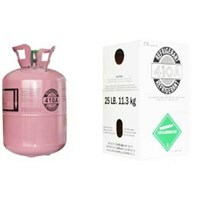 Kompresor AC Refrigerant R 404aDeskripsiRefrigerant R 404arefrigerant (R-404A) is a non-ozone depleting, near azeotropic blend of HFC refrigerants R-125, R-143a and R-134a.Application:R-404A is formulated to closely match the properties of R-502, making it useful for a variety of medium and low temperature refrigeration applications. 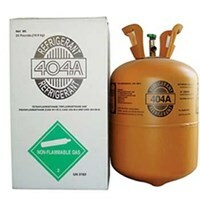 R-404A has been approved by many refrigeration compressor and system manufacturers for use in new refrigeration equipment such as food display and storage cases, cold storage rooms, ice machines, transportation, and process refrigeration.Properties & Performance:R-404A is designed to meet the needs of many new and existing refrigeration systems. 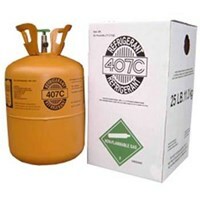 R-404A is near azeotropic HFC refrigerant blend rated A1 by ASHRAE (lowest levels of toxicity and flammability) having zero ozone depletion potential.Lubrication:R-404A is immiscible with the traditional lubricants used in R-502 systems. 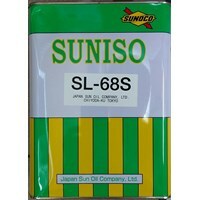 As such, the original oil should be replaced with POE when retrofitting to R-404A, and the presence of the old oil should be reduced to 5% or less of the original charge. 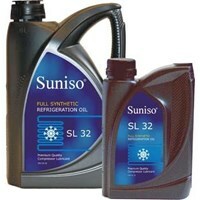 Failure to do so may result in inadequate oil return or other system problems. 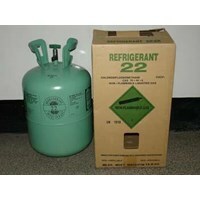 Kompresor AC Refrigerant R 22Deskripsi : Refrigerant R 22HCFC-22 (also known as R-22) has been the refrigerant of choice for residential heat pump and air-conditioning systems for more than four decades. Unfortunately for the environment, releases of R-22, such as those from leaks, contribute to ozone depletion. In addition, R-22 is a greenhouse gas and the manufacture of R-22 results in a by-product (HFC-23) that contributes significantly to global warming. As the manufacture of R-22 is phased out over the coming years as part of the agreement to end production of HCFCs, manufacturers of residential air conditioning systems are offering equipment that uses ozone-friendly refrigerants. Many homeowners may be misinformed about how much longer R-22 will be available to service their central A/C systems and heat pumps. This fact sheet provides information about the transition away from R-22, the future availability of R-22, and the new refrigerants that are replacing R-22. This document also assists consumers in deciding what to consider when purchasing a new A/C system or heat pump, or when having an existing system repaired. 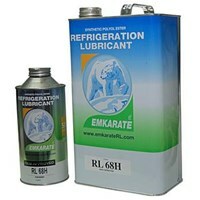 Anda Mencari "Refrigeration Gas & Oil"? 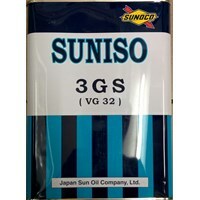 Buat Permintaan Untuk "Refrigeration Gas & Oil"
Spesifikasi ProdukKategori : Oli, Pelumas dan GemukKami menyediakan Oli suniso buatan dari Jepang yang berfungsi sebagai pelumas mesin, dengan beberapa tipe SL-32S & SL-68S yang kami jual.